At least 20 investigations across the government that have been slowed, stymied or sometimes closed because of a long-simmering dispute between the Obama administration and its own watchdogs. WASHINGTON — Justice Department watchdogs ran into an unexpected roadblock last year when they began examining the role of federal drug agents in the fatal shootings of unarmed civilians during raids in Honduras. The Drug Enforcement Administration (DEA) balked at handing over emails from senior officials tied to the raids, according to the department’s inspector general. It took nearly a year of wrangling before the DEA was willing to submit all its records in a case the inspector general said raised “serious questions” about agents’ use of deadly force. The Honduran inquiry is one of at least 20 investigations across the government that have been slowed, stymied or sometimes closed because of a long-simmering dispute between the Obama administration and its own watchdogs over the shrinking access of inspectors general to confidential records, according to records and interviews. The impasse has hampered investigations into an array of programs and abuse reports — from accusations of sexual assaults in the Peace Corps to the FBI’s terrorism powers, officials said. And it has threatened to roll back more than three decades of policy giving the watchdogs unfettered access to “all records” in their investigations. “The bottom line is that we’re no longer independent,” Michael Horowitz, the Justice Department inspector general, said in an interview. The restrictions reflect a broader effort by the Obama administration to prevent unauthorized disclosures of sensitive information, at the expense, some watchdogs insist, of government oversight. Justice Department lawyers concluded in a legal opinion this past summer that some protected records, such as grand-jury transcripts, wiretap intercepts and financial credit reports, could be kept off-limits to government investigators. The new restrictions grew out of a 5-year-old dispute within the Justice Department. After a series of scathing reports by Glenn Fine, then the Justice Department inspector general, on FBI abuses in counterterrorism programs, FBI lawyers began asserting in 2010 that he could no longer have access to certain confidential records because they were legally protected. That led to a series of high-level Justice Department reviews, a new procedure for reviewing records requests and, ultimately, a formal opinion in July from the department’s Office of Legal Counsel. That opinion, which applies to federal agencies across the government, concluded the 1978 law giving an inspector general access to “all records” in investigations did not necessarily mean all records when it came to material such as wiretap intercepts and grand-jury reports. The inspector-general system was created in 1978 in the wake of Watergate as an independent check on government abuse, and it has grown to include watchdogs at 72 federal agencies. Their investigations have produced thousands of often-searing public reports on everything from secret terrorism programs and disaster responses to boondoggles, such as a lavish government conference in Las Vegas in 2010 that featured a clown and a mind reader. While President Obama has boasted of running “the most transparent administration in history,” some watchdogs say the clampdown has scaled back scrutiny of government programs. “This runs against transparency,” said the Peace Corps inspector general, Kathy Buller. At the Peace Corps, her office began running into problems two years ago in an investigation into the agency’s handling of allegations of sexual assaults against overseas volunteers. Congress mandated a review after a volunteer in Benin was slain in 2009; several dozen volunteers reported ignored or mishandled sexual-abuse claims. Peace Corps lawyers initially refused to turn over abuse reports, citing privacy restrictions. Buller said investigators have been able to get only records that are heavily redacted. Hopes of an end to the impasse dimmed recently after the Obama administration volunteered to restore full access for the Justice Department’s inspector general — but not the other 71 watchdogs, who say they would be left dependent on the whims of agency officials in their investigations. “It’s no fix at all,” said Sen. Chuck Grassley, R-Iowa, who leads the Judiciary Committee. The administration has drawn scorn from Democrats and Republicans alike. The Obama administration’s stance has “blocked what was once a free flow of information” to the watchdogs, Sen. Patrick Leahy of Vermont, the ranking Democrat on the Judiciary Committee, said at a hearing. The Justice Department inspector general’s office said 14 investigations had been hindered by the restricted access. Those include investigations into the FBI’s use of phone records collected by the National Security Agency and the government’s sharing of intelligence information before the 2013 Boston Marathon bombings. In the Honduran raids, the inspector general has been trying to piece together the exact role of DEA agents in supporting, or even leading, a series of drug raids there beginning in 2011. 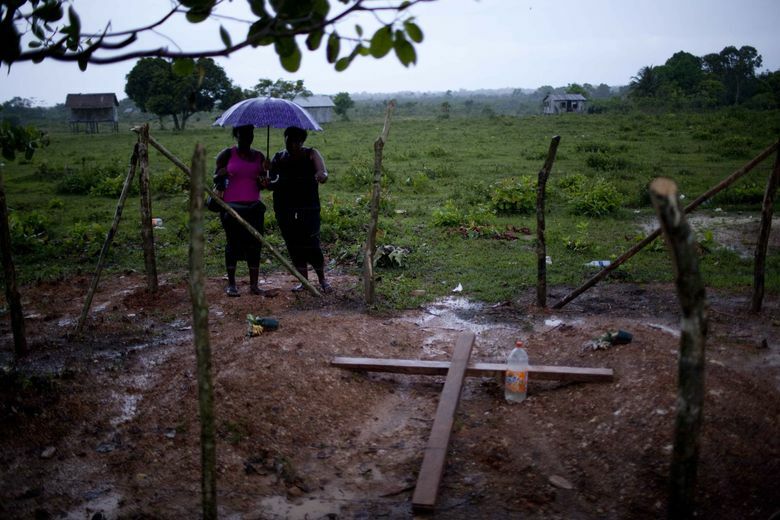 Details of what happened remain sketchy, but drug agents in a helicopter in 2012 reportedly killed four unarmed villagers in a boat, including a pregnant woman and a 14-year-old boy, during a raid on suspected drug smugglers in northeastern Honduras. They also shot down several private planes — suspected of carrying drugs — in possible violation of international law. An investigation by the Honduran government cleared U.S. agents of responsibility. But when the inspector general began examining the case last year, DEA officials turned over emails from senior executivesonly after more than 11 months of negotiations. A Justice Department official, speaking on the condition of anonymity, blamed“a culture within the DEA” at the time — and not the Justice Department’s new legal restrictions. Horowitz, the inspector general, said the long delay set back his investigation, which he hopes to complete next year.